From large chain stores to nail salons to your local hardware store, more and more establishments are offering gift cards as an option for their customers. Not just for the holidays anymore, gift cards are a great way to increase revenue and profits for all retailers, restaurants, and other merchants year round. Let’s say you buy a packet of 100 gift cards customized with your logo and branding. 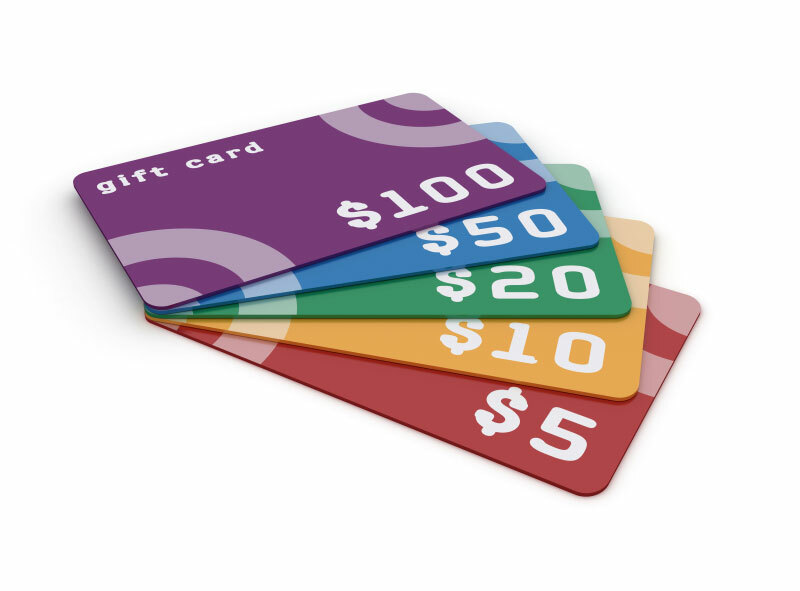 If your average gift card sale is $50, that’s $5000 in revenue you can generate. If you run at an average of 50% profit margin that is $2500 of pure profit in your pocket. In many cases, card recipients add their own money at the point-of-sale, increasing your revenue even more.